Startup sales can be incredibly daunting, not to mention time consuming. It can take ages to perfect the process, especially you're like me and have no previous sales training. The following process is far from perfect. I’m not a natural salesperson nor do I have ‘the gift of the gab’ but the process gets results. This is the result of over 18 months of trial and error, and hopefully I can save you from the many painful mistakes I’ve learnt along the way. You can use this process for your own business, just adjust the copy so it's relevant to you and make sure you're tracking your emails. I use Base to manage my leads and also for emailing. Base connects with your email account so it's really easy to keep track of your emails and you can also do personalised bulk emailing so the emails look like they are coming from you rather than a mailing list (which you can't do with Mailchimp). Before you even open your email client, you need to know who you’re going to email. You should have already done some research and determined the individuals or companies whom you believe would benefit from buying your product. Next, you need to speak to the right person within the organisation. You can have the best crafted email in the world, but if you send it to the wrong person it will never get the result you want. You should always aim to contact the person who will make the decision on whether or not they will use your product. There is no point in pitching your enterprise marketing tool to someone in the accounts department. For small businesses, contact the owner. For larger organisations, it can be difficult to know who to speak to but LinkedIn is a great tool for this. You can easily search for a job title within an organisation to find the relevant person. Just search for job title at company name in the search box, eg. A combination of guesswork and Googling will now enable you to uncover this individuals email address. The only factor in getting someone to open your cold email (if they don't reconise your name) is a compelling subject line, so think about this carefully. This needs to be extremely relevant to the person you are contacting. This approach is getting a 50% open rate, a 138% increase on the industry average of 21%. Because referring to the customer's business/event name is extremely focused and relevant to them. It also doesn’t look like spam because it’s personalised. You could argue that I’m tricking people into believing that I’m contacting them about buying a ticket for their event, but I’ve benchmarked this against the subject: "Ticketing for Break Conference 2015 in November" with little variation in the results. I get loads of cold emails myself and one of the things that surprises me is that many of them begin with a generic “Hi” and fail to include my name. Do I read past this? Absolutely not, it’s obvious that I’m just one of potentially thousands of people that are being contacted in a mass email campaign and this person has no idea who I am, what my business does or why I should buy their product. I’m just a number in an email database. You should always, always, always address the person by name. It’s a common courtesy that if you are contacting someone, you have some understanding of who they are and addressing them by name will drastically increase your chances of them reading your email and responding. If you’re emailing an organisation, sometimes finding the name of the right person to speak to can be tricky. If you can’t find this person on LinkedIn, then most websites will list an info@businessname.com address. Rather than spamming these with a generic “Hi” message, simply email the address and ask for the contact details of the relevant person you need to speak to. If all I can find is an info@ address, I always precede my sales email with a courtesy email requesting the event managers contact details. Would you please be able to put me in touch with the relevant member of your team responsible for organising your events? In most cases, I get a reply with the relevant contact details then, I email the correct person directly. I look forward to hearing from you soon, Chris. If you’re ever read Dale Carnegie’s “How to Win Friends and Influence People” (if you haven’t, you really should) you’ll know that people love to hear their own name. So use it as often as possible without it sounding too weird. This also helps to compound the fact that this is a personalised email, not an automated email campaign. You’ve got your prospects attention in the subject line, they’ve opened your email and they’re proceeding to read it. Now you need to build rapport quickly, build a connection and gain their trust. Note: Your email should always come from a person, not a generatic email address like info@yourbusinessname.com. People like to buy from people. The first thing you should do is: introduce yourself, explain what you do and explain why you’re contacting them. I try to make this as conversational, friendly and relevant as possible. Hello from Belfast! I hope this finds you well. Please let me first introduce myself – my name is Kyle Gawley, I'm the founder of an online ticketing business called Get Invited, based here in Ireland. I'm reaching out to you because I came across your Break Conference event and I think we may be able to help you with regards to ticketing at this years event. I always use the opener “Hello from Belfast!” (Hat tip @fehler). It’s a versatile opener – I can use it to instantly build rapport with people in Ireland and the UK by establishing a local connection. I can also use it when emailing someone in the USA, because it’s a well know fact that Americans love Ireland. From here, I give a very basic outline of what I do and then get to the point quickly, again customising the message to the person I’m emailing by referencing their event again. Including a photograph at the top of your email can also go a long way to help build the relationship, trust and also validate that your email is coming from a human being. I also hyperlink any mentions of Get Invited to our homepage, so people can easily follow the link to find out more. If you’ve still got your prospects attention, now you can sell them the benefits of your product. Nobody cares what’s in it for you and nobody cares about all the cool features you have, they care about what the benefit of using your product is to them. Will it help them make more money? Will it make them look good? Will it make their life easier? You’ve made a compelling offer, your prospect is interested – now you just need to provide proof that you can actually deliver on your offer. Include a short paragraph that shows that you’ve done this before. Reference your biggest customers or provide a testimonial. We've helped thousands of event organisers just like you to organise events across the globe. Everything from major festivals in Ireland, like CultureTECH, to one of the worlds largest technologies conferences, LAUNCH in San Francisco. I tailor the first namedrop to suit the location of the person I'm contacting so I'm referencing an event they're familiar with. What exactly do you want the prospect to do? Is it to visit your homepage? Sign up for a demo or do you need to schedule a follow up call to close the deal? 1. 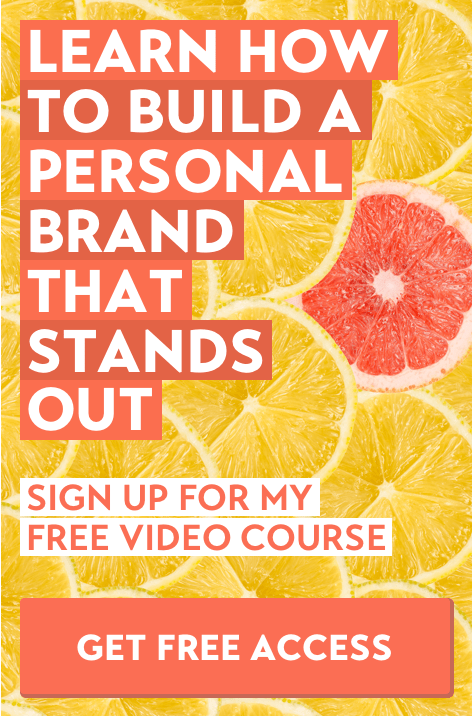 I’d love you to sign up and have a look around, if you have any questions – please just hit the reply button. I'm here any time. 2. I know you probably have a few questions and I’d love to answer them, when would suit for me to give you a quick call? Building an email that works is an ongoing process that requires testing and refinement. The example I’ve used here has been the result of continuous refinement over the course of 18 months and it’s far from perfect. I continually tweak it, test different approaches and measure which variations get the best open rate and engagement rate. We’ve built our own tool for tracking the open rates, responses, whether someone has clicked the link to our homepage and if they've signed up. There are lots of tools out there that you can use for this without having to build your own. Don’t use Mailchimp and I’ll explain why in a moment. Executing this process successfully requires much more than sending a single email: people are busy; your email may get lost in spam; or people may simply forget to reply. I hope you are well. I'm just following up on my previous email from last week to see if you had a chance to consider Get Invited? I'd love to have a quick chat with you to demonstrate how we could help you with your next event. Would any particular time suit for me to give you a quick call? Many people don't get back to me until the second email, so don't give up on the first attempt! At the foundation of every successful sale is a relationship, so it’s not just about sending a single email to a potential customer. You should continue to build the relationship elsewhere on other channels too. In addition to connecting with people on LinkedIn, I’ve started using Twitter lists to track prospects and current customers. This enables me to learn more about our customers, their interests and also interact with them outside of a ‘sales’ environment. If your customers are local, you should make an effort to meet with them in person too. Engaging your prospects in a conversation is just the beginning of the process. There will be lots of follow up actions like emails, demos or phone calls and you'll need to maintain military discipline in order to manage it. If you say you'll call a customer at 3pm on Wednesday, then you better call them at 3pm on Wednesday. A good CRM tool will send you reminders when you need to make a call and it will allow you to keep a record of previous conversations. Selecting a CRM can be a minefield depending on your needs. If you want something simple and easy to use, I recommend Base or Nutshell. While it can be tempting to build a list of thousands of people and mass email them through a service like Mailchimp, this is not a good strategy for a first email. Why? Because nothing screams spam like an unpersonalised email with a Mailchimp logo and an unsubscribe link in the footer. To make your cold emailing work there is a degree of research and personalisation required to cut through inbox noise and to start building a relationship with your customers. It’s fine to use a template as a basis, but you need to tweak it each time and tailor it for the person you’re emailing. For example, you might have a canned list of features and benefits, but you can tailor these depending on the customer. We put more emphasis on the design aspects of Get Invited when contacting customers running design events. For small businesses, we focus on our 7 day payout window. My final email looks like this, it’s not perfect but it gets results.